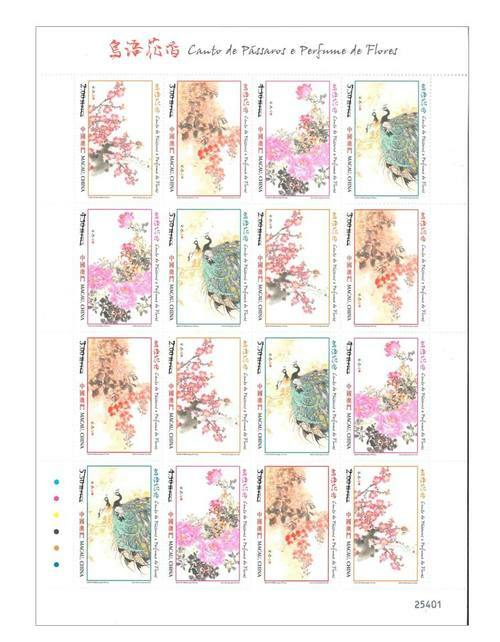 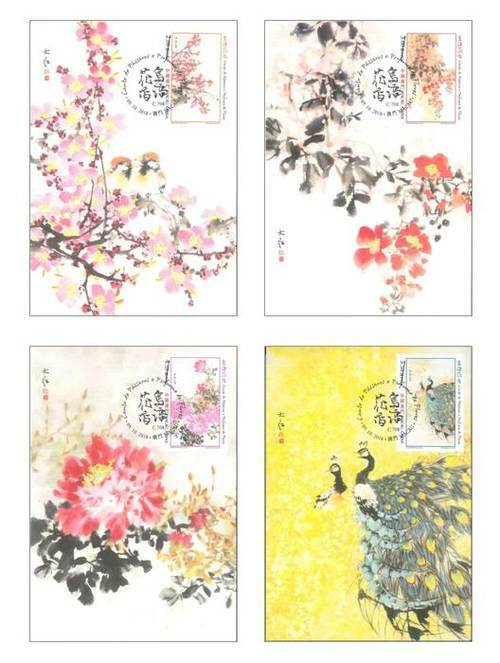 Stamp Issue "Birdsongs and Spring Flowers"
acao Post and Telecommunications Bureau will issue the stamp theme “Birdsongs and Spring Flowers” on 9th October, 2018. 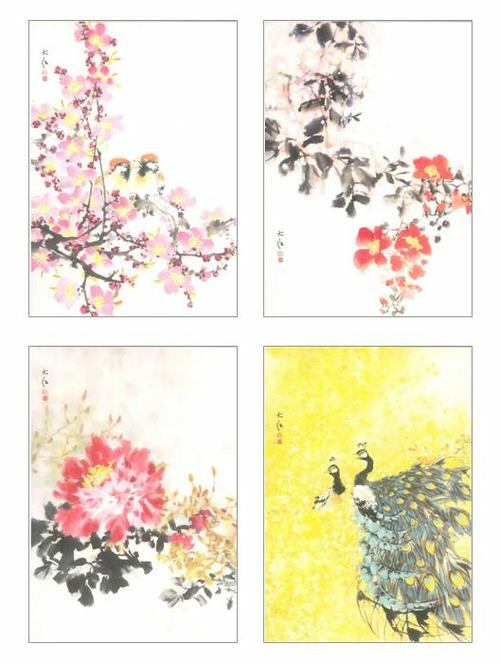 Bird and flower paintings are an important genre in Chinese paintings because the subject matters are closely related to people’s life. 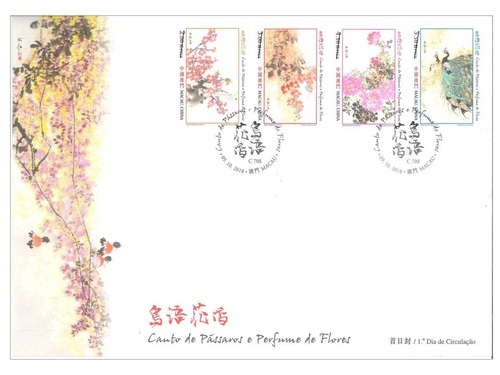 The Chinese old sayings of “birdsongs and spring flowers” or “flowers are in full bloom and the moon is full” both reflect people’s pursuit of a happy life. 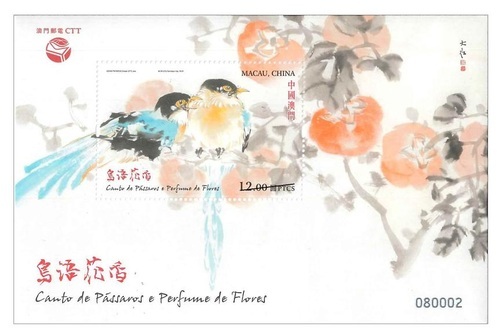 Ieong Tai Meng, is well known for his flower and bird paintings and landscape paintings in the Chinese art circles. 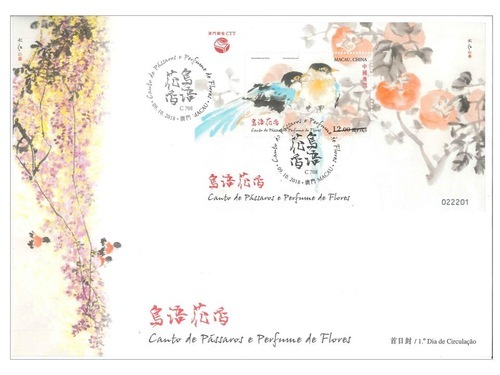 Ieong’s bird and flower paintings are rich in colour, attentive to the ink and brush techniques, bold in the strokes, strong in the lines, and mixing ink and colour. 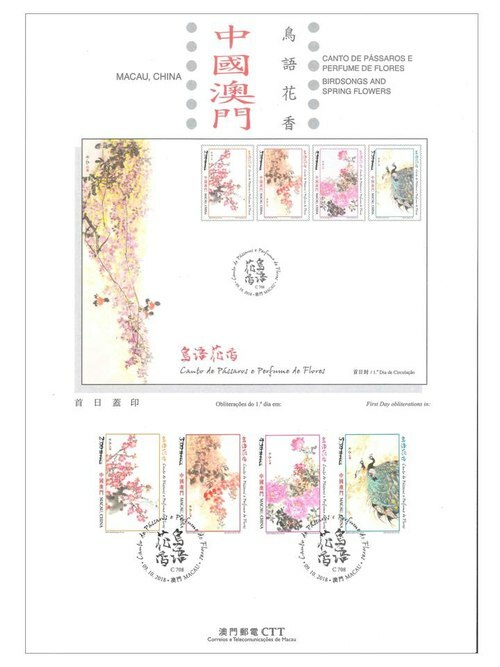 All of these features form Ieong’s distinctive style, which he has learnt from painters of the Lingnan school of painting such as Li Xiongcai, Li Gemin, Li Guohua and Liang Zhanfeng, the Impressionist master Claude Monet, and traditional painters including Bada, Shitao and Zhang Daqian. 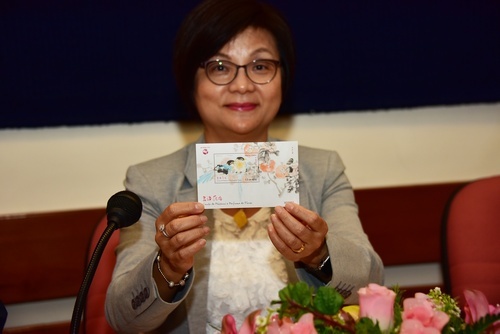 The composition of this issue is designed by Macao Post and Telecommunications Bureau, and the text of the information brochure is written by Mr. Zhang Zhiqing. 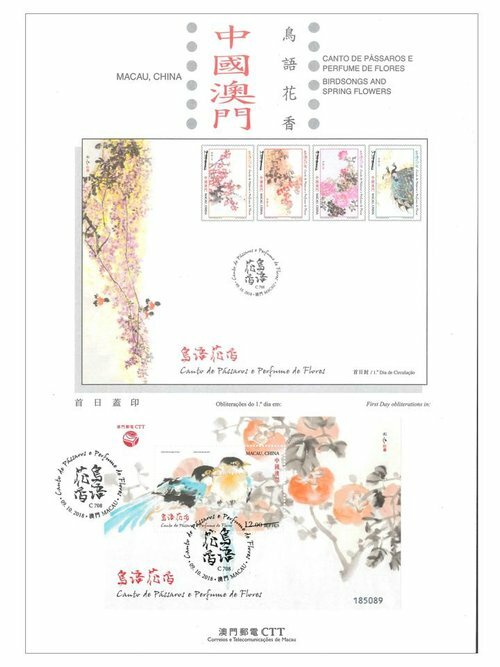 This is the ninth theme in 2018. 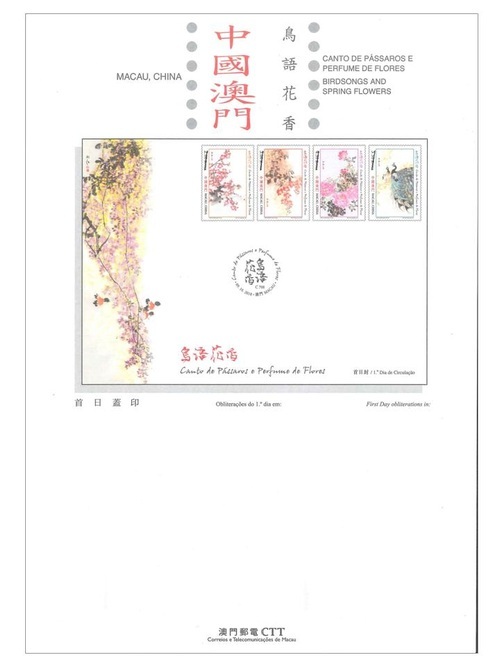 The previous issued stamps are “Lunar Year of the Dog” on 05/01/2018, the label stamp “Lunar Year of the Dog” on 31/01/2018, “Macao 2018 – 35th Asian International Stamp Exhibition (I)” on 01/03/2018, “Mainland Scenery VII” on 12/04/2018, “Classic Fables and Tales” on 30/05/2018, “Joy” on 26/06/2018, “Chapas Sínicas (Chinese Documents)” on 06/07/2018, “Masters of Chinese Literature – Tang Xianzu” on 27/07/2018, “60th Anniversary of the Publication of Macao Daily News” on 15/08/2018, the label stamp “Macao 2018 – 35th Asian International Stamp Exhibition (II)” on 21/09/2018, and “Macao 2018 – 35th Asian International Stamp Exhibition (III)” on 23/09/2018.